Owning a dog can be really rewarding, but also really scary! There is potential that you will have to deal with stresses and anxieties that your dog has. Anxiety in dogs is a tricky thing to navigate through. It is important for you to recognize if your dog has anxiety and what type. Dealing with it then becomes much easier. There are steps you can take to help and we’ve put together a guide for you to find out how. There are plenty of signs that tell you if your dog might be suffering from anxiety. Ask the breeder or rescue facility/group that you got your dog from f they observed any signs of anxiety. 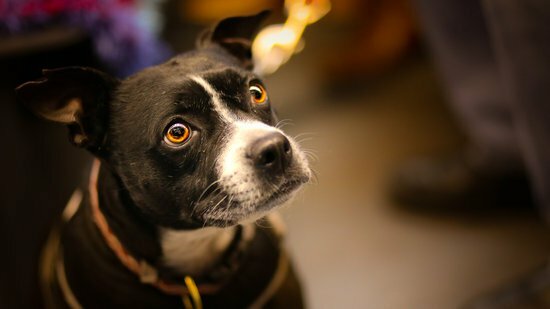 Dogs will develop anxiety in the earlier stages of their life [14 weeks old] and how they interacted with other dogs after birth could affect their anxiety. Dogs that come from puppy mills could have higher chances of anxiety due to the conditions they were exposed to right after birth. If your dog constantly pants and has repetitive behaviors, that could be a sign as well. Also, similar to humans, dogs with anxiety will try and escape from situations where they feel uncomfortable. You will primarily notice these signs in situations where there are more people present like a get-together or a party. 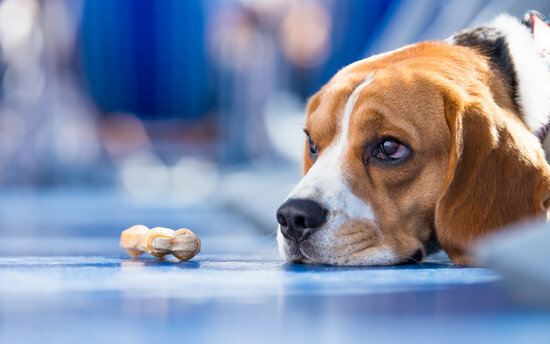 Anxiety in dogs can be complex, but thankfully our friends over at PetMD have put together some medical causes and symptoms to see if and how your dog came to acquire this anxious personality. Anxiety is the anticipation of future dangers from unknown or imagined origins that result in normal body reactions (known as physiologic reactions) associated with fear; most common visible behaviors are elimination, destruction, and excessive vocalization (i.e., barking, crying). Separation anxiety is the most common specific anxiety in companion dogs. When alone, the animal exhibits anxiety or excessive distress behaviors. Most fears, phobias, and anxieties develop at the onset of social maturity, from 12 to 36 months of age. A profound form of fear and withdrawal of unknown cause occurs at 8 to 10 months of age. Old-age-onset separation anxiety of unknown cause may be a variant of a decline in thinking, learning, and memory in elderly dogs. Anxiety in dogs can be fairly common and the most prevalent type is separation anxiety. There are a few ways to deal with this, however, it is encouraged that you also tweak these to fit your dog. 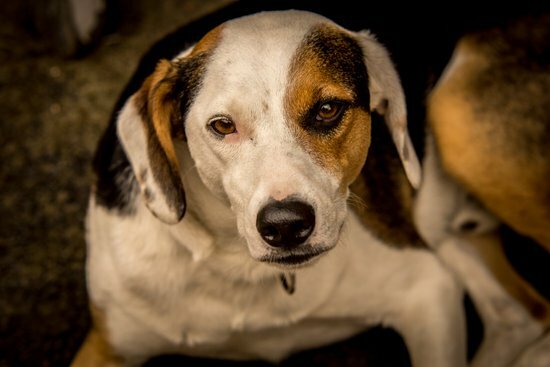 Every dog is different, and you may know ways to change these tactics in a way that will get a better response from your dog. Don’t make it a point to show your dog that you are leaving, whether it be a trip to the store or a full eight hour day of work. Don’t sit and give them hugs and kisses to reassure them before you leave. Don’t jingle your keys as you’re preparing to leave the home. Walk out of the door like you would any other time. If you want, try putting your stuff in the car, re-entering the home for a couple of minutes and then actually leave. Actions like this will create habits in the dog to reduce their stress of you leaving the home. If you can afford it, have someone stop by when you are away for a full workday, such as a doggy walker, doggy daycares are also great options, just be sure to do your research and make sure that your dog actually enjoys going. First and foremost, the best thing you can do is consult your veterinarian. Your dog may or may not need medical help, but the safest thing to do is take him/her to the vet and see. If there is a need for medicine, it can take a couple of weeks for the medicine to take effect. Ultimately, it is up to you to modify behaviors to get them to relax and not react to environmental situations. If possible, try to avoid letting your dog be exposed to dark rooms. Anxious dogs will try and escape and generally look for dark rooms such as a closet. This isn’t an ideal place for them, so try and keep these rooms closed so they are in a well-lit room. Attempt to spot the signs of an oncoming anxiety attack so you may prevent it from happening. If your dog knows how to sit and stay, nuances like these can help reinforce positive reactions to their perceived “negative” environments. Set up safe places for your dog to go to. This should only be used for when your dog is feeling anxious NEVER used for punishment. Crates can be effective for anxiety in dogs but only if used a positive, comfy place. Dog beds in corners, special blankets placed on sofas that your dog can jump on, are all great options. If you prefer to stray away from medical solutions for your dog, there are ways to get past that. Just as exercise is a great stress reliever for humans, it is wonderful for dogs. Exercise helps with a couple of issues when managing a dog dealing with anxiety. First, it stimulates the production of serotonin, a chemical that we humans also experience that makes you feel good when your body is being exercised. Second, it gets rid of pent-up aggression and energy that can build up anxiety. Weighted blankets work through what is known as Deep Touch Pressure or DTP which is a form of therapy that mimics the chemicals (Serotonin) released in your brain when given a hug or being held by a loved one. Weighted blankets when on a dog simulate this feeling and they have been known to calm anxious dog through natural bodily shifts. Dog massages can benefit all of these cases through DTP or deep touch pressure which releases chemicals in the brain that are related to getting a warm hug. Through starting slowly and easily dog massages for anxiety and other related mental problems can greatly improve the dog's lifestyle making them at ease in their day to day activities. Scents can also help calm a dog's anxiety, and DAP is a popular option. It is a synthetic chemical that is based on a hormone produced by lactating female dogs that help keep her puppies calm and increase their bond with her. While scientific studies have shown that DAP does work with puppies, it isn't as clear if it works with anxious adult dogs. Even so, there is the possibility that it can help, and it can be one of several tools used to help an anxious dog. It comes as a plug-in diffuser with vials that last about 30 days, and humans aren't able to smell it. Humans aren't the only species that can be calmed by soothing music, it can also help anxiety in dogs. Many owners leave a television or radio on when they leave the house to help a dog feel comforted. But there is also specialized music that one can play to help particularly anxious dogs. Through a Dog's Ear is a selection of music specifically aimed at calming nervous dogs. The website states, "The overarching psychoacoustic theory informing Through a Dog’s Ear is summed up in just two words — simple sound. This term refers to the process of minimizing intricate auditory information found in most music. 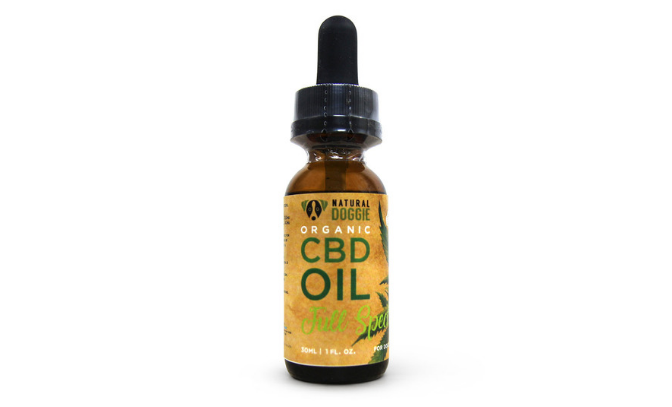 CBD for dogs with anxiety works its way through the body through the endocannabinoid system. this is a process that will attract the CBD compound and distribute it through the nervous system giving relief and aid to parts of the body that require it. This is also the process that allows the CBD compound to enter the brain releasing serotonin which is a way to calm your body down, meaning it helps reduce anxiety in dogs. It can be scary dealing with anxious behaviors in your dog and not knowing what is going on or how you can fix it. Anxiety in dogs is a common problem, is very serious and should be handled appropriately. We hope these tips helped you better understand your dog's anxiety and that you seek the right actions to help him/her. If you have any additional tips please feel free to comment below or shout us out on social media! Have a pawesome day!